Our team members are the key to our success. Whether they work behind the scenes or are out there delivering great service to our guests; each is tireless in their pursuit of excellence. We make a strong commitment to our passengers and employees alike. We strive to achieve the highest levels of safety and are always looking to inject fun and friendliness into everything that we do. At Frontier Airlines, we wholeheartedly support and have a strong commitment to Equal Employment Opportunity (EEO) and Affirmative Action. 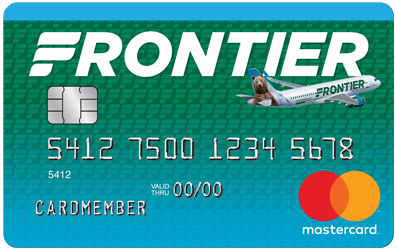 Frontier is committed to providing equal employment opportunities for all persons regardless of race, color, religion, gender, gender variance, sexual orientation, age, genetic information, marital status, national origin, citizenship status, disability, military, veteran status, and any other basis protected by federal, state, or local laws. Diversity is an essential part of our success. Our company flourishes because of the unique backgrounds, skills and ideas that our team members contribute every day. We salute and actively recruit veterans. Military experience is valuable and transferable to many of the positions essential to the operations of our airline. Frontier Airlines is a Zero Tolerance Drug-Free Workplace. All prospective employees are subject to pre-employment testing for the following drugs and their metabolites: Marijuana, Cocaine, Amphetamines, Opioids and Phencyclidine (PCP). Further, any applicant who is found to have tested positive on any required drug or alcohol test at a former employer will be considered ineligible for employment with Frontier.